up to 25% of your total heat loss. CosyWall, like most cavity wall insulation products, is often recommended as an ideal way to conserve energy and lower your monthly power bills. If you are trying to decide if CosyWall is right for you, take a look at some wall insulation benefits below. There are many advantages that come with having existing wall insulation installed. If you get it professionally installed the drywall won’t need to be torn out and batting won’t need to be installed. The installer will simply drill holes in the outside (or inside) of your wall and pump the system in through them. It’s a simple, fast, clean and effective method. The main benefit, of course, is the fact it lowers your energy bills. The amount you will actually save will depend upon your property. The average home loses around a third of its heat through the walls so insulating these can really help to keep the heat inside the home. Not only do you get great cost savings, you will be living in a much more comfortable environment and coming home after a long day at work to a cold house can be a can be a bit depressing. 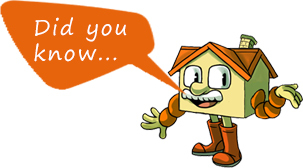 Another advantage to cavity wall insulation is the fact it can reduce condensation. If you currently have problems with mould, installing insulation could help to eliminate this and create a healthier environment. Installation of CosyWall can only be carried out by trained CosyWall licensees using specialist installation equipment. Our licensees are part of a large New Zealand wide distribution network and incorporate our systems that have been developed over 16 years of existing wall installations. CosyWall licensees are required to undertake training seminars and are independently audited. If you’d like to know more about CosyWall talk to one of our resellers today!